Singh told the Legislative Assembly that his government followed "standard norm" while purchasing an AgustaWestland helicopter through a global tendering process in 2007. A file image of the the AgustaWestland helicopter. RAIPUR: Chhattisgarh Chief Minister Raman Singh today told the Legislative Assembly that his government followed "standard norm" while purchasing an AgustaWestland helicopter through a global tendering process in 2007. 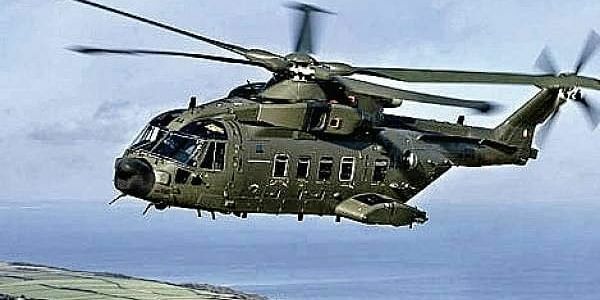 In a written reply to a question by Leader of Opposition T S Singhdeo (Congress), the chief minister said, "The state government purchased Agusta chopper in 2007 at Rs 25.96 crore (USD 64.55 lakh) from AgustaWestland company." "The cabinet had given relaxation in the Store Purchase Rules for purchasing the helicopter because it was to be done as per the recommendations made by the technical committee....The standard norm was followed in the procurement of Agusta chopper," the CM said in his reply. "It was done through a global tendering process," Singh added. Following critical comments by the Comptroller and Auditor General (CAG) on the purchase, opposition Congress had accused the BJP government of irregularities in the deal.